A new report published in the journal Environmental Research shows that Black women are potentially exposed to dozens of hazardous chemicals through the hair products they use. The study, by scientists at Silent Spring Institute, is the first to measure concentrations of endocrine-disrupting chemicals—substances that interfere with the body’s hormones—in a variety of hair products marketed at Black women. The findings could help researchers understand why Black women have higher exposures to hazardous chemicals than other groups and how these elevated exposures contribute to health disparities in the U.S. population. For instance, Black women go through puberty at younger ages, and have higher rates of hormone-mediated problems such as pre-term birth, uterine fibroids and infertility than other groups of women. Incidence rates of breast cancer and endometrial cancer among Black women are also increasing. The new study looked at 18 different hair products including hot oil treatments, anti-frizz hair polishes, leave-in conditioners, root stimulators, hair lotions, and hair relaxers. The products were chosen based on results from a survey of Black women asking them about their product use. 11 products contained 7 chemicals prohibited in the European Union (EU) or regulated under California’s Proposition 65. Hair relaxers marketed at children contained the highest levels of 5 chemicals prohibited in the EU or regulated under Proposition 65. Parabens, fragrances, nonylphenols, and diethyl phthalate were commonly found in root stimulators, hair lotions, and hair relaxers. All products contained fragrance chemicals and 78 percent contained parabens. 84 percent of chemicals detected were not listed on the product label. Health-conscious consumers often rely on online safety ratings of consumer products based on the ingredients listed on the labels. “Unfortunately, companies aren’t required to disclose everything that’s in their products, so it’s hard for consumers to make informed choices,” says co-author Robin Dodson, ScD, an environmental exposure scientist at Silent Spring. Although the chemicals detected in the new study are not unique to hair products used by Black women—most of the chemicals can be found in other personal care items—the levels measured were generally in the higher range compared with other hair products, the researchers note. The study focused on hair products for several reasons. 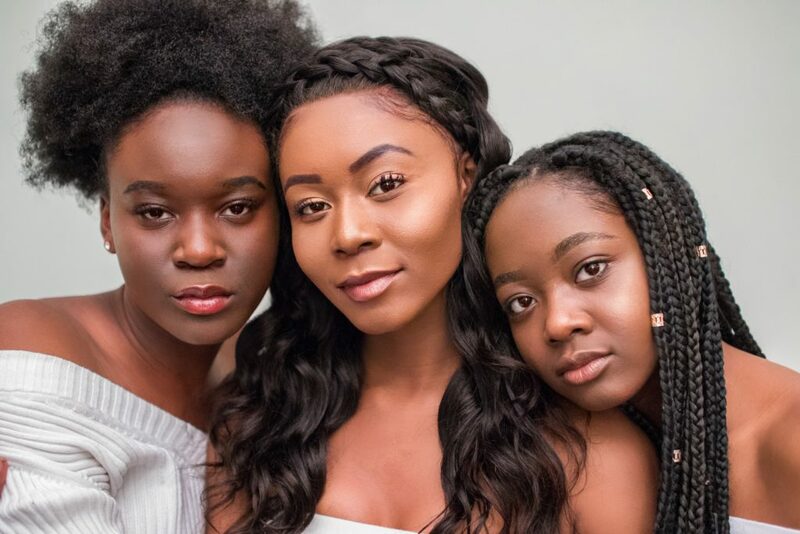 Certain products, including hair straighteners and moisturizers, are more commonly used by Black women, often to meet social beauty norms. Black women also purchase and use more hair products than other groups. What’s more, based on national biomonitoring data from the U.S. Centers for Disease Control and Prevention, Black women have higher levels of some phthalates and parabens in their bodies compared with White women. According to the researchers, this is consistent with their study’s findings, which showed that phthalates and parabens were frequently detected in products. Helm hopes the new study will lead to better disclosure of ingredients and encourage manufacturers to develop safer products. In the meantime, she says, consumers can limit their exposures by reducing the number of products they use, looking for products that say “paraben-free” or “fragrance-free” on the label, and choosing products that are plant-based or made with organic ingredients.